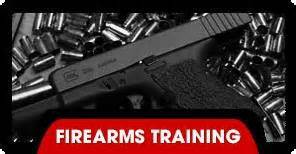 Link to Part I : Is Formal Firearms Training Really Necessary? 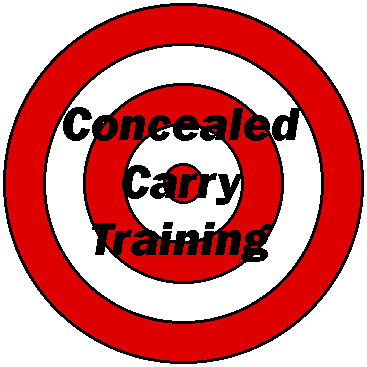 I am concerned that many people believe they only need (formal) training to fulfill the requirement to obtain a permit to open or conceal carry a gun in public. 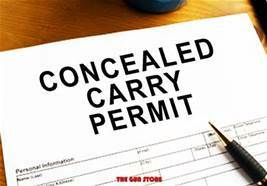 That leaves a large contingent of people who don’t want or need to obtain a carry permit. And most of those people are in agreement with the video that started this post, that a gun is simple and they are “smart enough” to handle it. One of my pet peeves is what usually amounts to “false pride” and often outright arrogance accompanying a person’s denial for need of education – in a wide variety of applications and subjects, not just firearms training. It is unbelievable to me that anyone would “casually” handle or play with a firearm, but that does frequently happen. The person playing can also get away with doing it – right up until the one time that – tragically- they don’t. I believe that is the danger of the idea promulgated by that video mentioned above. It fails to mention the discipline needed to develop good habits and safe handling EVERYTIME you pick up a firearm. You can watch reality shows, videos, read on the subject, have a family member or friend show you how to handle it, and think you can “learn by doing” running a saw. But I would wager virtually everyone, including “yours truly,” is surprised – and hopefully without serious injury – by the power in your hands the first time you actually operate the saw yourself. 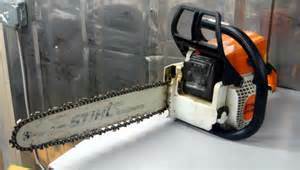 A chainsaw, like a firearm, is also basically a simple tool that the average person can operate without formal training. Most people can reason out how to hold and use it to make cuts in a log or piece of wood and be fairly safe, under ideal conditions. What is less obvious is the art and skill required to safely deal with unexpected situations you may encounter as you wield this “simple” but very powerful tool. Just a few of many things you may encounter: having the saw buck out of control and potentially cause injury to you or someone else; making accidental contact with the ground, rocks and adjacent objects; the saw may become “stuck” in the object you are cutting and you need to learn how to avoid or remedy that situation; and so on all the way to felling a tree and controlling where it is going fall or behave. Besides the sheer power and sharp teeth on the cutting bar, there are more factors at work. Interaction with seemingly inert objects consist of more than just gravity. When a limb or trunk snaps unexpectedly before a cut is completed, energy is powerfully released and may propel or fling parts of the tree or branch with potentially deadly force. In those cases the chain saw itself may become uncontrollable and cause grievious injury. If I do not make safety a primary concern and pay strict attention while I am running that saw I am inviting potential injury and harm. A chainsaw is not a tool to be used casually. If I wanted to be a logger I would make it my business to study, apprentice and learn, practice, and most of all pay attention to safety concerns. Does something “magically” change the laws of physics if I am only planning to be a casual firewood gatherer? or do some weekend pruning or removing some trees? Are those immutable laws suspended because I am not a professional or don’t want to do it everyday? FACT: A handgun is capable of inflicting deadly force, whether intended or accidental. While we have the constitutional right to keep and bear arms, it is easy to ignore or bypass the social and ethical responsibility that goes with that right. That responsibility is to safe use and storage of firearms. Unlike a chainsaw with sharp rotating teeth that go from a resting state to high velocity with an attendant piercing warning scream before you put it to work, a gun doesn’t give any outward signs of its tremendous potential power. It is quiet and inert when you pick it up, load it, and hold it. The discipline and attention to safe handling of firearms does not come “naturally” to a person. Safe handling habits must be learned and developed through drills and practiced until becoming second nature. Once the trigger on a loaded firearm is pressed/pulled, enormous energy is unleashed in a deafening clap like thunder, with extremely hot gasses escaping from the cylinder on a revolver, and on a semiautomatic gasses escaping from the muzzle and its slide slammed back violently as it cycles to pick up the next cartridge. Recoil from the explosive event of firing kicks the gun back, oftentimes quite violently. The projectile – bullet – travels at speeds measured in hundreds to thousands of feet per second, and if and when it impacts an object it has a destructive effect. To reiterate my point, training is absolutely imperative if you wish to handle and shoot a firearm safely. In order to be responsibly safe and competent with your gun, is it possible to be self taught or receive equivalent informal training with firearms? Yes. But there are the same requirements as in a more formal class. You must be disciplined in your approach, thorough in your examination of the topic, and diligent in practicing to develop skill and proficiency. There are volumes of information and resources on the subject available, including books and videos, talking to other people who shoot regularly, joining a shooting club, finding a mentor, and being dedicated to learning all you can. A lot of people passionately make learning their business, with or without a formal “class.” If you are fortunate enough to have a mentor who is well schooled in the safe handling and shooting of firearms, then it is possible to obtain equivalent-to-formal training. What if you don’t know an expert or master in the subject, and don’t have the time or inclination to become a self taught master of firearms yourself? 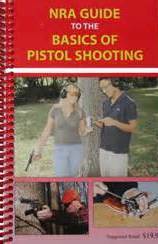 As I have said before, simply taking a class in order to qualify for a carry permit is not a guarantee you will learn the basics of handling, shooting and storing a firearm. Make sure that when you walk away from a basic class you are taking with you information and guidance in the operation and safe handling of your handgun. Getting that permit is just a step in a process of being knowledgeable, competent and comfortable in your ability to carry and handle the firearm you will be carrying. While there are other quality programs out there, I am most familiar with The National Rifle Association training. In the next post I will describe what the NRA certified Basic Pistol Class covers, and what you can expect and learn from an NRA Certified instructor. Is formal firearms training really necessary? I recently viewed a video expressing the opinion a gun is really a very simple tool. 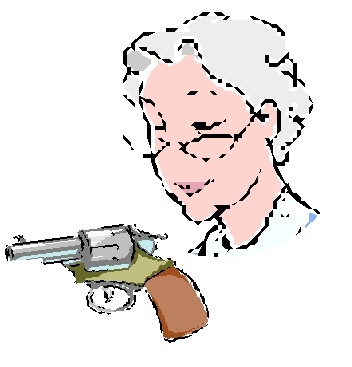 enough not to shoot themselves, and know how to handle it safely without the need for any formal training. Watching the video led me to reflect on how “we” — those immersed in “gun culture” – in our enthusiasm to share what we have learned, may have jumped right past this basic idea, and I think he makes a good point. This man is not against formal training. He just wants to keep it in perspective. Towards the end of the video, he adds that he personally has had a lot of formal training, and that it has great value. Anyone who has read my ABOUT page knows I am very pro-education when it comes to handling a firearm. My “aim” is to obtain my certification as a basic pistol instructor, and my husband is an NRA Certified Basic Pistol and NRA Certified Personal Protection Inside the Home instructor. I am obviously heavy invested in providing formal training, and very much in favor of people learning safe firearms handling. I also think the NRA Basic Pistol course provides a very thorough and well thought out introduction to the subject, and helps develop a deeper awareness and understanding of safety issues, provides basic understanding of the mechanics of handguns and ammunition, and teaches good technique. But does the “average” person who wants to have a gun in their home for defense really NEED formal or extensive and often expensive training in order to safely handle their firearm? Can they learn what they need to handle firearms safely from a manual, friends, relatives, independent reading and research, or all on their own? So why is there a strong push to get people to take classes and LEARN in a structured formal setting? Is it so that instructors and vendors can make more money? The “gun community” is filled with people who share information, resources and time generously in order to help others benefit from, enjoy, and become more confident and safe in their handling of firearms, whether through formal or informal training. The wealth of information, books and videos available for “free” upholds that. So why should someone need to take a structured class? Why would anyone need formal training? 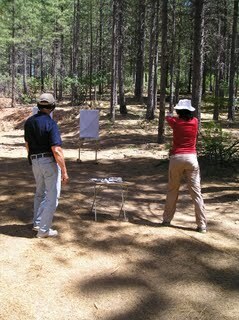 In my experience – in the classes my husband teaches – every person who has completed the NRA Basic Pistol Course (probably the best basic structured class) has said they learned more about firearm safety, mechanics and improved shooting techniques whether they were a “newbie” or seasoned gun owner. While there have been a few people who have taken my husband’s NRA Basic Pistol Course simply to learn more about the handguns that they own and keep in their house, the majority of my husband’s students want to obtain a concealed carry permit. Most jurisdictions/states have a requirement that a person who wants to carry a concealed weapon must have successfully completed some type of formal firearms training. Members of law enforcement and the military, who carry firearms in public, are required to have formal training and to maintain their qualifications regularly. When a civilian wants to carry a firearm in public places, a situation is created that could potentially impact the right of others to enjoy a safe environment, much like driving a vehicle, or operating large trucks and equipment on public roadways where you are required to be licensed. Obtaining that license or permit requires proving you know the state’s rules and regulations and have taken a practical test showing you can safely handle and operate that equipment. And most states treat concealed carry that way as well as fingerprinting and running a background check before issue of that permit. I believe that makes sense. 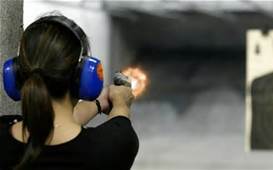 In Montana, where I live, proof that a person can safely handle firearms can be satisfied in three basic formats: 1) a basic pistol course, 2) military training in use of a handgun, or 3) hunter’s education safety class. In this mostly rural and forested state, with a small population and a vast amount of land, you may also carry openly or concealed as long as you are outside of a town or city, mining or logging camp without any permit. Highly populated states with large urban areas tend to have more and stricter regulations and policies. What could be better than a well trained person who applies critical thinking, maintains situational awareness, and knows how to safely use, maintain and store a firearm and ammunition? When that person makes the decision to fire a gun, they have made it their business to know their target, and even more importantly, what is beyond that target – whether they are shooting at a range, or in a defensive situation. That is the goal of structured basic training.